To boost tourism, the government today launched a mobile application to offer tourists various travel related information including availability and charges of hotels, air fares, and local attractions of any particular place in the country. 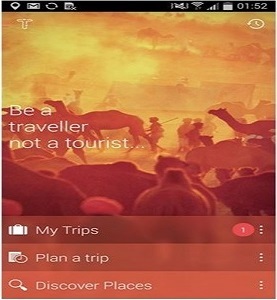 Instead of using 10 to 12 different Apps, a tourist now can use only one App which will cater to all his or her travel related requirements in a particular city, Tourism Secretary Parvez Dewan said after launching the Android App. The application, named ‘Tripgator Android App’, has been launched by Tripgator.Com, in partnership with Incredible India. “You will get to know how to get from one place to another, what are the attractions there, information about hotels, restaurants, ATM kiosks and other necessary details for a tourist,” Dewan said. The App will also provide information about health facilities available in a particular area. “You Will get all these informations including indicative rates on real time basis so that you will be able to plan your itinerary in an effective and hassle-free way,” he said. However, since this is a non-commercial App one cannot book hotels or tickets through it, but will only get indicative rates on air fare and hotel charges. The App also has a price index which will offer cheaper available options as well as medium and high budget options.